Test box for rapid temperature changes, rapid The temperature cycling test boxEnvironmental stress screening test box. Platinum series of test box is Hongzhan technology's flagship product, the product testing to a new stage. From the big horsepower compressor and in the test area of high speed, excellent graphics / Q8 controller to dominate the show curve function, Platinum series test box has quickly established a new standard of quality and accuracy. 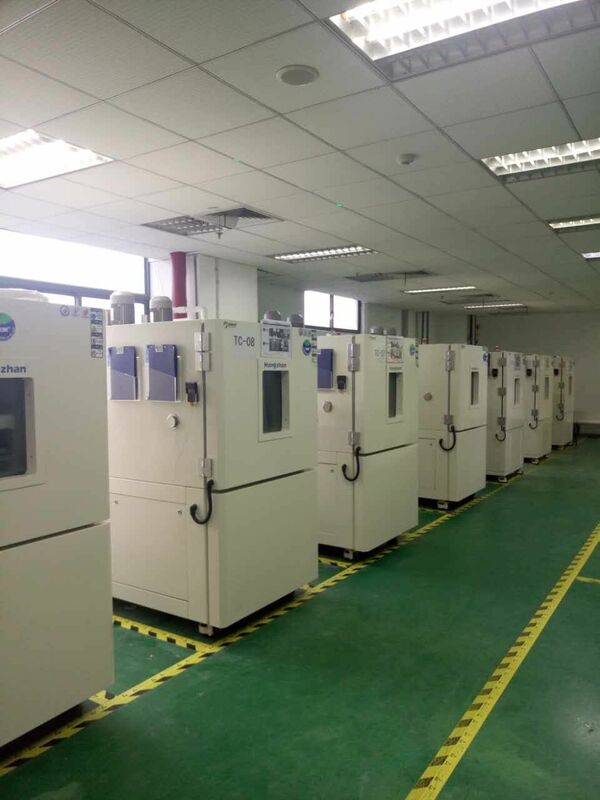 The test box of high performance Platinum series can make the internal environment and the measured products produced rapid temperature changes, thereby greatly reducing the test time, improve the efficiency of the test. Rapid temperature change is also a product to be measured has greater stress, and thus improves the stress screening efficiency. Design of Platinum series products is a model test technology and the advanced combination of aesthetics. Platinum series of products not only have great innovation in technical performance, and the design is simple and smooth, elegant appearance, it will become a beautiful scenery in your lab. If our standard series Platinum test box configuration you can not meet the test requirements, we can design specially for you. The temperature change of Platinum series of test box rate very fast, can help you find the design defects of the products in the factory. Platinum series temperature test box and humidity module, can become the temperature / humidity test chamber. The temperature and humidity cycling can enable you to detect potential defects in the products are found before, improve product quality and reliability. Q8 controller with a bright 10.4 inch color touch screen, operation and data acquisition is simple and reliable, advanced graphics / curve display so that the operator can observe the test process is very convenient. She has a strong network function, large capacity hard disk access, multi level password can effectively protect sensitive data based on. The transmission and storage of data and procedures for USB interface. Platinum series of test box with modular humidity system, this module can be easily added to the test box, in order to adapt to the changing requirements of test. Reliable built-in electronic humidity sensor not only increases the measurement precision and reduces the number of maintenance. With humidity module comes with water purification recycling device, you will no longer need external sources. The precision control gradient test improves test box temperature and humidity uniformity, so as to make the test results more accurate. Test box Platinum series volume 600 liters or more can compress unit configuration 3 horsepower, 6 horsepower, 10 horsepower and 15 horsepower, the cooling rate of test box reached more than 10 degrees per minute. For air cooled refrigeration system, air outlet located at the top of the test chamber, thereby reducing the indoor air conditioning load test. With the help of electronic pressure sensor and a pressure switch, test box can effectively carry out self monitoring and protection, but also facilitate the fault diagnosis. When replacing the refrigerant or other necessary limit can change the set value of the pressure sensor. The design of the series of test box into the concept of human body engineering, the front and side is very smooth. The test box window is completely visible, and no condensation. Can choose the left and right opening doors to adapt to different test room layout, to maximize the use of the test room. The equipment at the bottom of the small wheels to increase the convenience of use. Users can also choose stainless steel door.